William Williams Newman is the son Richard Newman, a whitesmith of the city of Gloucester and Little Dean , both are located in the county of Gloucestershire, England. 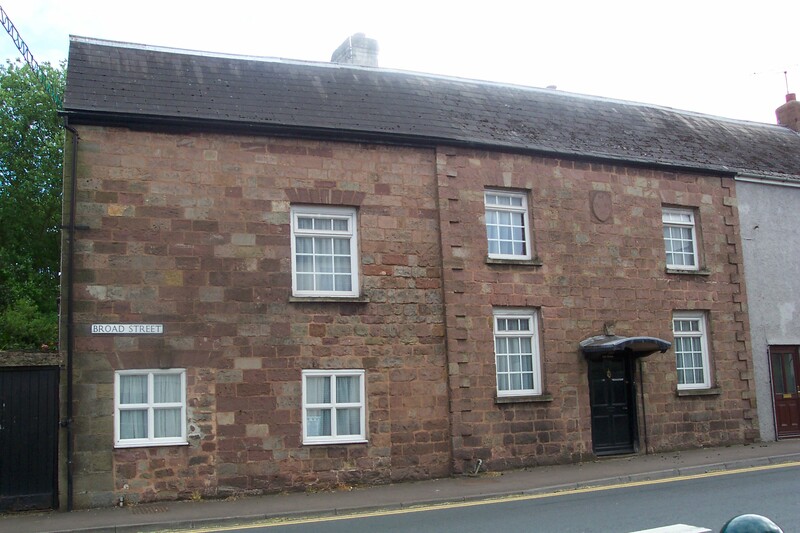 Possible Inn that Richard Newman held in 1815. A whitesmith did finer work on lighter metals than the Blacksmith. William would have spent his days learning a trade from his father Richard. Richard is listed as either an Innkeeper or a Blacksmith in the parish records of St Ethelbert for his children’s baptisms depending on which year and which child. Near as I can tell from my trip to Littledean in 2005, the location of his Inn or Blacksmith’s shop would have been next door to each other on Broad Street just down from St Ethelbert’s parish church. Littledean is a small quaint village, very picturesque next to the Forest of Dean which dates back to the late 11th or early 12th centuries. William was with his wife Eleanor Surman in New York City, New York in 1833. They are listed in the St. Mark’s in the Bowery Church records for the baptism of their oldest child, James Williams Newman on 11 Aug 1833. How they got there, where they lived, when they left will continue to be a mystery. The 1830-1835 New York City Directories do not have either William Williams Newman or Frederick Surman (Eleanor’s brother and all spellings were searched), Fred comes over to New York City about the same time, they might have all migrated together but Fred stays behind and the New York Surman’s come from him. The passenger lists for that time are few and far between, not really well indexed and most were destroyed in fires. Ships coming back to England with passengers listed are also very hard to locate. So that was thought of but not executed due to lack of records. 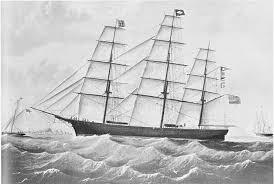 This was the typical ship at the time for travel to and from the New or Old Country. In the St. Ethelbert Parish records we find, a birth for Jane Williams Newman on 24 Apr 1835. 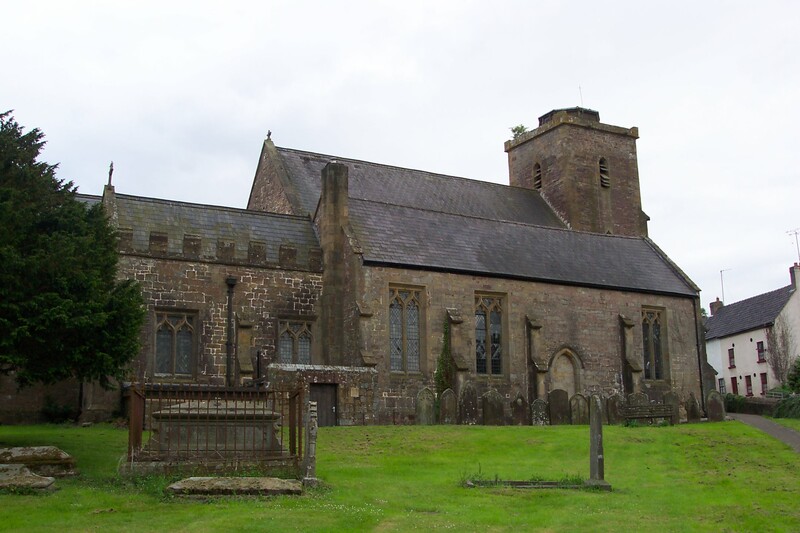 The family then moves to Asted, Warwickshire, England where child #3 is baptized Elizabeth Williams Newman on 1 Jun 1838, she dies on the 6th day of June 1838 in Aston. Child #4 is William Williams Newman baptized on 19 Apr 1839 in Aston also in Warwickshire. William Sr is listed as a nailor on the children’s baptisms. 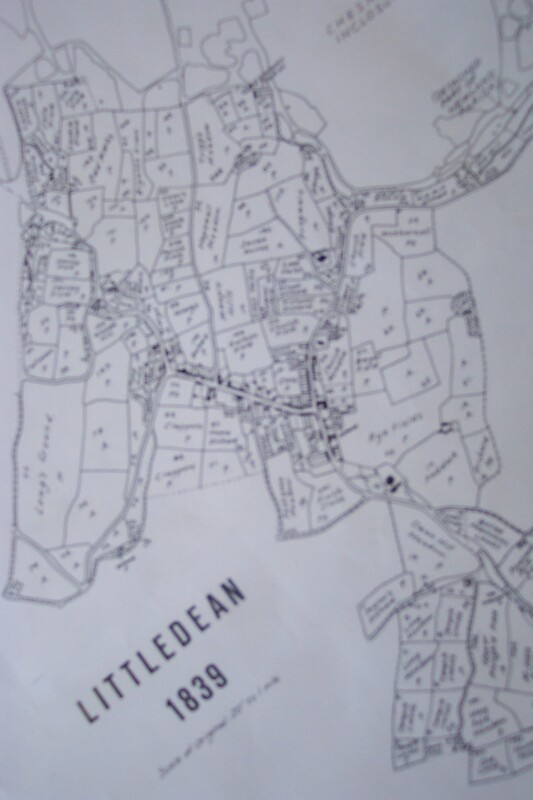 In 1841, the family is back to Littledean, actually Blaize Bailey which lies just outside of Littledean in the Forest of Dean. William, Elinor (note spelling), Jane and William are in the household. Older son James is either visiting / helping out or living with his elderly grandparents in Littledean, since that is where he is listed that particular day. According to research, “Nailmaking had been established by 1327, when a nailor was one of the wealthier inhabitants, and became the most important trade in Littledean”, this was from the British History Online website http://www.british-history.ac.uk/report.aspx?compid=23258#s6 for your reading pleasure. Business must have been better over in Ross on Wye in the Herefordshire area since we next find William and family in that town. 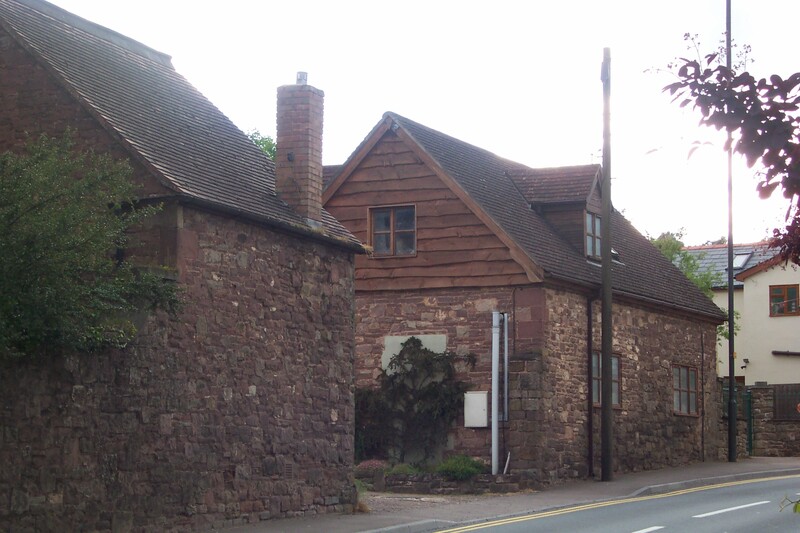 Children Henry John baptized on 14 Feb 1847, Elinor in early 1848 followed by Frederick on 5 Nov 1849 all in Ross on Wye. 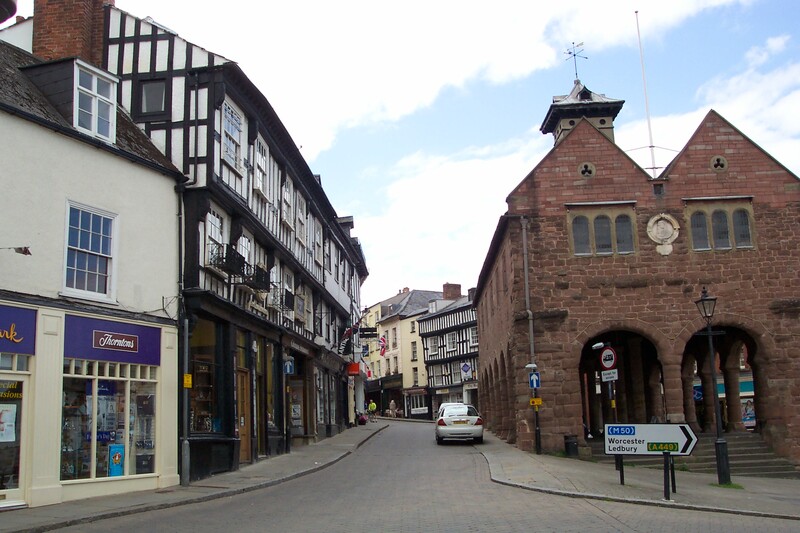 Ross on Wye is a very pretty Market town. Street that the Newman family lived on in 1847. Note the unevenness of the House on the left side. Dates back to the 1500’s. The brick structure in the middle was the Market square. Birmingham is the next and final stop for the William Williams Newman family. Here they are in the census at Inge St Court 14. He is listed as a Nail Forger, with Eleanor, Jane, William, Henry John, Eleanor and Frederick living in the family unit. Their oldest son is James and he is living nearby as a Confectioner apprentice. Emma their last child is born in 1852 but wasn’t baptized until 1869 at the age of 17 years. In the 1861 census, they family has moved to 4 Mark Lane. William is listed as a Horse Nail Maker both the 1851 and 1861 census. Birmingham is an industrial town, lots of business for a nailmaker. But, that being said, sanitation was not a priority in the lives of busy Brummies. William contracts Typhoid Fever and dies on the 9th of November 1869. This is the journey William Williams Newman took his family. If you look online at the Back to Back’s of Birmingham, England this court was next door to the one the Newman family lived in and our cousin, Anne Tees, actually volunteers there. It was a moving experience for me to visit. 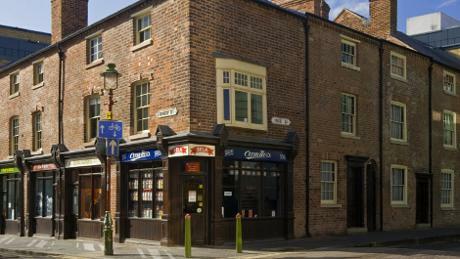 Sweet shop on Corner, the entrance to the Courtyard is just to the right of the store. 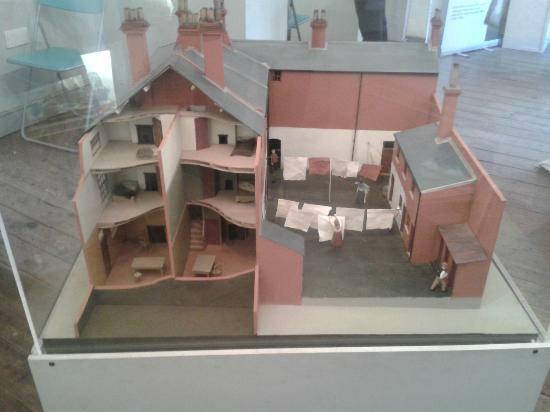 You can view the inside what would have been the separate homes within the court. figure out the next run once the train stops. Very nice train by the way. I ask if anyone knows Birmingham well, I get strange looks but oh well I got some directions. The train takes about 30 minutes, so once my stop comes , off I set, asking directions I finally get to the Back To Back’s and they are waiting on me, how sweet. I was a bit late. I felt so blessed to actually be so close to where my ancestors walked 150 years ago. Snapped photos, chatted it up, told the guide that my ancestors lived in Court 14, absorbed all she told me about the various set ups 1830-1960’s. Actually she told me that they didn’t have flush toilets until 1969. The community well, it was by the Hippodrome I passed along my run from the train. So after that emotional experience I found my way back to the station for my ride back to Worcester. 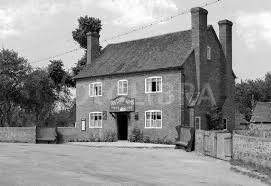 Then the drive back to the Inn where William’s widow lived for many years with her aunt Susannah Green Bullock working at the Coventry Arms Inn in Upton Snodsbury, Worcestershire. Now you can understand why I call William Williams Newman “a traveling man”, I never thought of my ancestors as that mobile. For me to cross the Ocean it took a bit of doing but he took the family twice, once each way. So, take my word if you can’t find your people where they should be check where you least expect them. Any suggestions on what or who next??? Love the style. Was exhausted by the end after all that running ! Thanks! Do you think it was too much information to digest? I am also trying to give my fellow cousins an understanding of their ancestors as we go along. Any suggestions on style or general thoughts are always appreciated. Quite interesting. I recently had a DNA link to a descendant of William Williams Newman who has a tree on the Ancestry site. So I did a bit of digging to try and find the connection to my Newman’s (not found it yet). His father Richard presumably moved to Littledean as part of his work as a blacksmith. I have been unable to find Richard’s marriage to Elizabeth Williams at St Mary De Lode in the registers? Have you a precise date for it? From Richard’s burial record in 1843 we know he was born around 1777. The only obvious baptism was in 1777 in nearby Taynton. He had a sister Elizabeth baptised in 1785. Their parents were Richard Newman and Elizabeth. I found Richard senior’s 1835 will where he mentions his two children (Elizabeth marries John Phillips). At the time he wrote his will (1818) he was living in Huntley working as a blacksmith. However, he was buried in Churcham aged 86. I think I found his marriage in Westbury on Severn to Jane Green in 1773. The signature of his marriage certificate and will are similar. In the marriage record he was said to be from Dymock but I suspect that was more to do with work than anything. I have him as a master blacksmith in 1776 in Westbury (his apprentice was Thomas Green – presumably a relation?) and 1791-1798 in Huntley. He was born around 1750 and the only obvious candidate I can see was the one baptised in Hartpury in 1749 by John and Priscilla Newman. Does any of this make any sense? Thank you so much for acknowledging my family!! Yes, you have the dna, so excited! I have the license for Richard’s marriage to Elizabeth from St Mary de Lode and the marriage from Littledean Parish. I’m at work right now but can send it later if you send me an email to geneacathy@gmail.com! Where do you fall on the tree? I’ve not conclusively found Richard’s parents. Can’t wait to “chat” with you further.